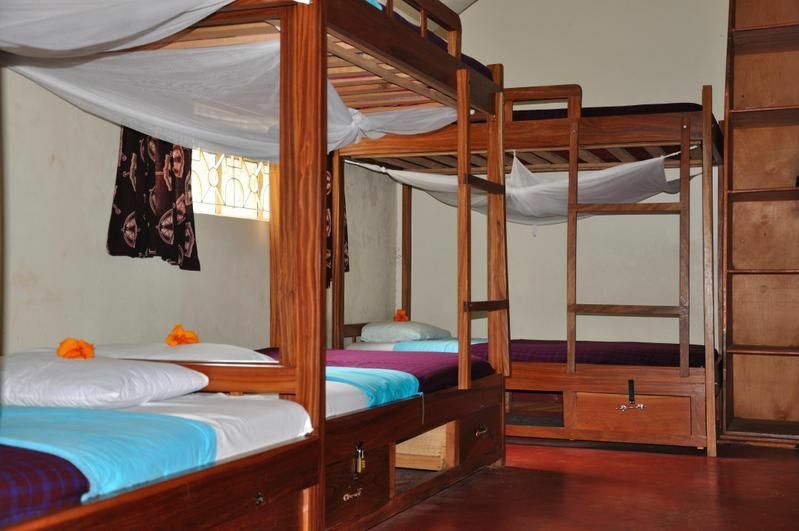 Ujamaa Hostel was created to provide the best quality low cost accommodation in Arusha, Tanzania. 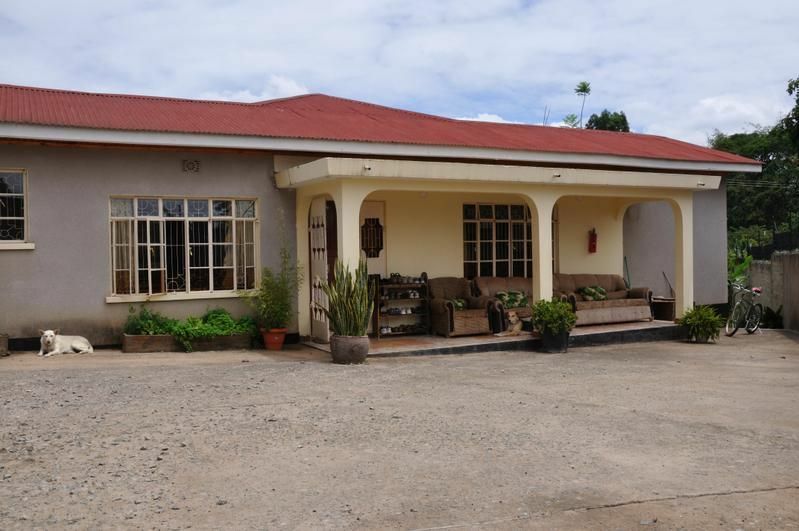 Its fun, friendly, safe and affordable so if youre looking for a break from long travel or the hustle and bustle of African life, why not relax in our large gardens or enjoy the TV/DVD collection?With staff who are always happy to help, large rooms and huge communal areas, how can you go wrong?Breakfast, Dinner and Laundry are included in the price!There is also a drinks fridge where you can buy sodas and beers at anytime.We have 3 dorm rooms with 18 beds in total as well as two private double rooms. Each bed has a lockable draw for valuables and a cupboard/shelf for clothes etc.All linen is provided with mosquito nets on each bed.Please bring your own towel.We provide 24hr access and security.The hostel is located a 7min walk from the centre of town where you have access to internet, supermarkets, post office, restaurants and bars.If you want to give back to the community while you stay in Tanzania, you can join one of our volunteer programs and have the chance to make a real difference in the lives of local people. (Volunteer Visa required costs excluded)To confirm your booking we require full payment upfront via PayPal (we will email you in regards to this). Should you need to cancel your booking, we take the first night as a non-refundable deposit and refund 50% of the balance.If you do pay in cash, please ensure US Dollar notes are from 2003 or later or they will not be accepted. General Directions:Go down Fire Rd past the Masai Craft Market at turn left at the Fire Station. Go straight for 200m. When the paved road turns to the right - you continue straight on the dirt road for 300m, Ujamaa Hostel is on the left.By Plane:The nearest international airport to Arusha is Kilimanjaro International Airport. 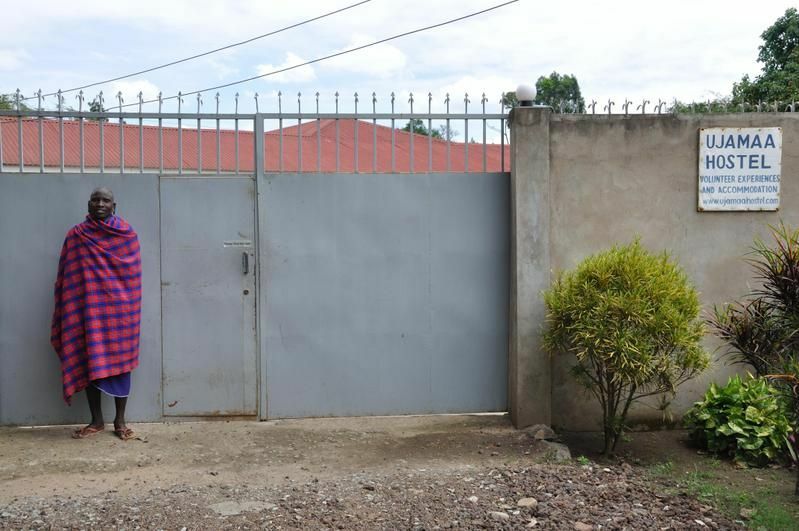 It is approx 1 hour from town and we provide pick ups for US$40.By Road:You can also get the bus to Arusha from Nairobi or anywhere else in Tanzania. Please contact us if you are arriving by some other route and we will provide directions.